The ponderous instrument of synthesis, so effective in Newton's hands, has never since been grasped by anyone who could use it for such purpose; and we gaze at it with admiring curiosity, as some gigantic implement of war, which stands idle among the memorials of ancient days, and makes us wonder what manner of man he was who could wield as a weapon what we can hardly lift as a burden. - William Whewell on Newton’s geometric proofs, 1847 (thanks to JWS for pointing this out to me). A quick observation: statements like "the average woman's height is 64 inches" are almost always misinterpreted. Here's the main problem: people think that this is referencing an archetypal "average woman", when it's not. The proper parsing is not "the (average woman's) height"... but it is "the average (woman's height)". See the difference? It's really a statement about the variable "woman's height", which has been measured many times, and then averaged. In short, it's not about an "average woman", but rather an "average height" (of women). Of course, this misunderstanding is frequently intentionally mined for comedy. See yesterday's SMBC comic (as I write this), for example: here. 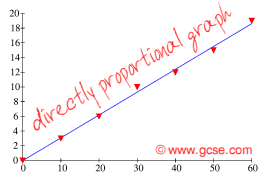 Let me again ask the question, "How Do You Know Something is a Proportion?". For the math practitioner this is one of those things that requires no explanation ("you just know", "it's just common sense"). But for the remedial college algebra student, running into these common questions on tests, it's a real stumbling block to recognize when the proportional exercise is being asked. Actually, I've found that it's a stunningly hard problem to explain when we know something is proportional -- I've asked the question online twice here (first, second), I've asked around to friends, and rarely do I get any really coherent answer back at all. (One professor colleague investigated the issue and then said, "It's the question on the final that doesn't have a clear direction to it, that's how you know."). Any college basic-math textbook I look at has a stunningly short attempt at a non-explanation, as though they're keenly embarrassed that they really can't explain it at all (usually in the form of, "Proportions are useful, for example in the following cases..."; see first link above for specifics). Let's see if we can do better this week. First, let's look at what the up-and-coming Common Core curriculum does with this issue. In CC ratios and proportions are a 7th-grade topic, and there is a presentation specifically on the subject of "identifying proportions". This is uniformly given by two methods: (1) a table of paired numbers, and (2) a graph of a relationship. The key in the first case is to see that the pairs of numbers are always related by the same multiplication factor (usually a simple integer), i.e., y = kx. In the second case you're looking for a straight line that goes through the origin (0, 0), which I think is not a bad tactic. These materials very consciously avoid relying on the cross-multiplying ratios trick, and seek instead to develop a more concrete intuition for the relationship. I think that's a pretty solid methodology actually, and I've come to agree that the common cross-product way of writing these obscures the actual relationship (see also work like Lesh, 1988 that argues similarly). 49. A student would like to estimate the height of the Statue of Liberty in New York City's harbor. The length of the Statue of Liberty's right arm is 42 feet. The student's right arm is 2 feet long and her height is 5 1/3 feet. Use this information to estimate the height of the Statue of Liberty. Notice that this doesn't assert that the person and the statue are proportional. In fact I can think of a lot of artistic, structural, or biological reasons why it wouldn't be. In this way the problem is not really well-defined. 51. There are 72 milligrams of cholesterol in a 3.5-ounce serving of lobster. How much cholesterol is in 5-ounces of lobster? Round to the nearest tenth of a milligram. As someone who's eaten a lot of cheap lobster growing up in Maine, again I can think of a lot of reasons of why the nutritional meat content of lobster might not be proportional across small and large lobsters (the basic serving being one creature of whatever size). For example, the shell hardness is very different across different sizes. 57. One out of three American adults has worked in the restaurant industry at some point during his or her life. In an office of 84 workers, how many of these people would you expect to have worked in the restaurant industry at some point? My immediate guess would be: definitely less than one-third of the office. It seems that a sample of current office workers are somewhat more likely to have worked in an office all their career and therefore (thinking from the standpoint of statistical inference) fewer of them would have worked in a restaurant than the broad population. For example, simply change the word "office" here to "restaurant" and the answer is clearly not one-third (specifically it would be 100%), cluing us into the fact that former restaurant workers are not spread around homogeneously. I don't really mean to pick on Martin-Gay here, because many of her other exercises in the same section avoid these pitfalls. The very next exercise on the Statue of Liberty says, "Suppose your measurements are proportionally the same...", the one on skyscraper height says, "If the Empire State Building has the same number of feet per floor...", others give the mixture "ratio" or medication dose "for every 20 pounds", all of which nicely serve to solve the problem and make them well-defined. But I've seen much worse perpetrated by inattentive professors in their classrooms, tests, and custom books. So even if Martin-Gay fixes all of her exercises precisely, plenty of instructors will surely continue to overlook the details, and continue to assume their own background contextual knowledge in these problems that their remedial students simply don't have. In short, for some reason, we as a professorship continually keep writing malformed and poorly-defined problems that secretly rely on our application background knowledge of things as proportional. Here's the solution that I've decided to try this semester in my remedial algebra courses. To start with, I'll try to draw a direct connection to the Common Core exercises, such that if someone ever has or does encounter that, hopefully some neurons will recognize the topic as familiar. Instead of saying that a proportion is an equality of ratios (as most of these college books do), I will instead say that it's a "relation involving only a multiply/divide", emphasizing the essential simplicity of the relation (really just one kind of operation; no add/subtracts or exponents/radicals), and covering the expression of it as either y = kx or a/b = c/d. So that's what I'll be trying out in my courses this week. We'll see how it goes; at least I think I have a legitimate answer now when a student asks for these kinds of problems, "but how do we know it's proportional?". A colleague of mine says that he wants to spend time giving his students more video and I equivocate in my response. He presses the question: "Don't you agree that different people learn in different ways?" Here's one possibly reply. First, to my understanding there's no evidence that trying to match delivery to different "learning styles" has any positive effect on outcomes. One example I came across yesterday: a Department of Education meta-analysis of thousands of studies found no learning evidence of benefits from online videos ("Elements such as video or online quizzes do not appear to influence the amount that students learn in online classes. ", p. xvi, here). Perhaps the short version of this response would be, "Not in any way that makes a significant difference." But here's another possible response, to answer the question with another question: "Don't you agree that it's important to have a shared, common language for communication in any field?" And as usual I would argue that acting like math, or computer programming is anything other than essentially a written artifact is fallacious -- in fact, overlooking the fact that writing in general is the most potent tool ever developed in our arsenal as human beings (including factors such as brevity, density, speed, searchability, auditability, etc.) is fallacious, a fraud, a failure. To the extent that we delay delivering and practicing the "real deal" for our students -- namely, properly-written math -- it is a tragic garden path.